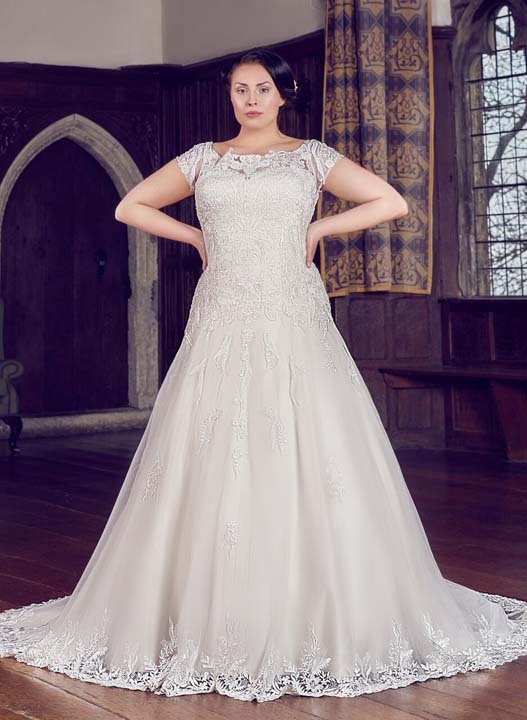 A stunning plus size wedding gown. An off the shoulder dress with tshirt capped sleeves. Nipped in at the waist to show off that hourglass figure. The A-Line skirt is adorned with an intricate lace scalloped hem trailing round the cathedral length train.